There’s been a phenomenon I’ve been watching for some time. A tale of two pumps, if you will. The other day, I was getting gas at an Arco station for $2.75, still a bit too high in my opinion. Across the street, at Chevron, there were three or four cars filling up at $2.89 a gallon. It seems like every time I go to a Valero or Arco, there’s people filling up for 10 cents more at the Shell or Chevron across the street. This just makes me really curious. Are they really that snobbish about the quality of their fuel? 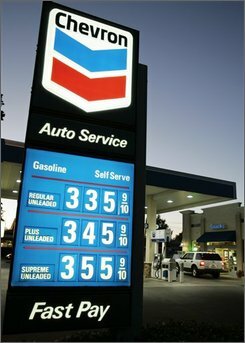 Why not just drive a few more feet for cheaper gas? Or am I just being a total cheapskate by going with second-rate gasoline for my fine automobile? My mom used to work for Chevron and says that all gas stations pretty much have the same fuel, so my parents always just went with the cheapest stuff. And my parents are total car snobs. So there you go.